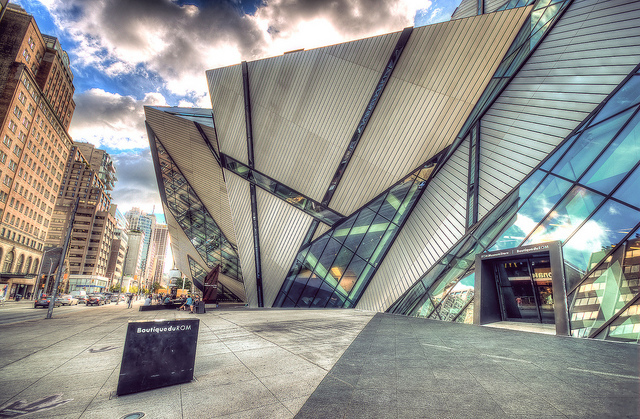 The Royal Ontario Museum (ROM) in Toronto, Canada will be hosting the final stop of the North American tour of Vikings: The Exhibition. Beginning on November 4th, it draws on current archaeological scholarship and research, offering a fresh perspective on the Viking age that challenges some of the commonly held myths and perceptions about the lives of the Norse people and this period of European history. Transporting visitors to the Viking Age, between the 8th to the 11th centuries, Vikings explores the rich and often misunderstood history of Viking life and culture. Through modern archeological discoveries and research, visitors learn how this seafaring civilization was rooted in a complex society of warriors, farmers, explorers, artisans, craftsmen and merchants. Featuring interactive displays and nearly 500 original objects from the collections of the Swedish History Museum – many rarely seen outside of Scandinavia – the exhibition looks at the work, family life, religion, trade and social hierarchy underpinning Norse society. While Vikings were recognized as master ship-builders and sword and axe makers, the range of objects on display also highlights their extraordinary craftsmanship in ceramic ware, textile, iron, silver, bone and leather making used for their ceremonial pieces and everyday items. The exhibition also features two reconstructed Viking ships – the 13 foot Arby, and the 32 foot Eik Sande. Both vessels have been meticulously re-created using Viking processes and materials of the time, providing visitors with unique insights into Norse boat-building techniques, and the symbolism and mythology of their ships. To round out the exhibition, the ROM has included a North American component that explores the arrival and settlement of Norse people in Canada. Additional objects – including pieces from the Museum’s own ancient cultures collection, text records, site maps and satellite images shed light on the daily life, trade and interaction of these Norse settlers with Indigenous peoples. Vikings: The Exhibition will run from November 4, 2017 to April 2, 2018. To learn more, please visit the Royal Ontario Museum website.